Rajasthan's beautiful Pink City Jaipur, was the stronghold of a clan of rulers whose three hill forts and series of palaces in the city areimportant attractions. Known as the Pink City because of the colour of the stone used exclusively in the walled city, Jaipur's bazaars sell embroidered leather shoes, blue pottery, tie and dye scarves and other exotic wares. Western Rajasthan itself forms a convenient circuit, in the heart of the Thar desert which has shaped its history, lifestyles and architecture. Delhi, also known as Dilli, is the second largest metropolitan city by population in India after Mumbai and is officially designated as the capital of India. Delhi is located on the banks of Yamuna River. Historically, over the past millennium, it is said that Delhi has been built and destroyed 11 times and it is found to be the oldest existing cities in the world. The largest city and the capital of Rajasthan, The Pink City is located in the rugged hills of Aravalis and was the first planned city ever in India by Sawai Jai Singh in eighteenth century, and the city was named after him. Due to its enchanting old charm and historical monuments, it has always attracted tourists every year from all over the world. 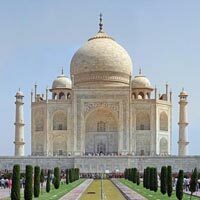 Agra is the city of Taj Mahal, which makes it the most popular city of India. It is located near the River Yamuna on the northern state Uttah Pradesh of India, and is the most populated city of Uttah Pradesh with more than 1.5 million people.3.09% Government service tax extra. On arrival at New Delhi Airport/Railway Station you will be received and transferred to your hotel. Half day sightseeing of Old Delhi, which includes Red Fort, Chandni Chowk & Jama Masjid, India Gate and the grand government buildings, the President's House, Mahatama Gandhi Memorial. Night stay in Delhi. 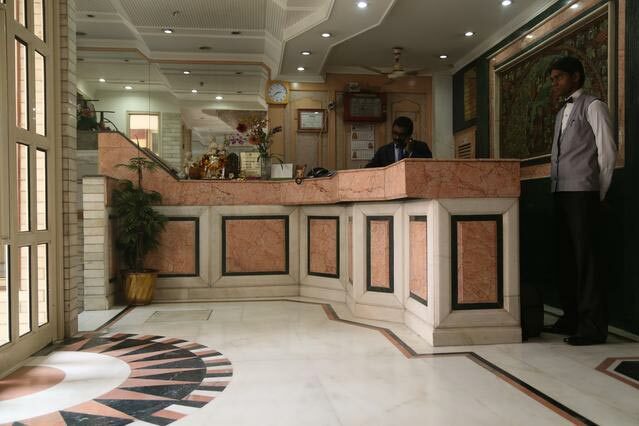 After breakfast drive to the Agra, on arrival check in at your hotel. Afternoon visit the Agra Fort - the rusty and majestic red-sandstone fort of Agra stands on the banks of the river Yamuna and the construction was started by Emperor Akbar in 1566. Later at sunset visit the magnificent Taj Mahal - one of the Seven Wonders of the World surely the most extravagant expression of love ever created. 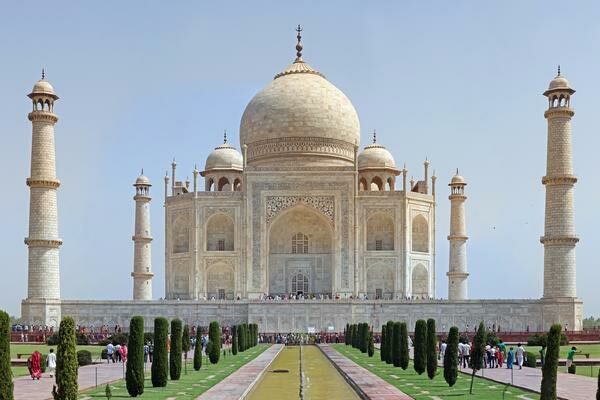 20,000 men laboured for over 17 years to build this memorial to Shah Jahan's beloved wife. Night stay in hotel. Note: Taj Mahal remain close on each Friday. After breakfast drive to Jaipur enroute visiting Fatehpur Sikri-a perfectly preserved red sandstone "ghost town" which was the estranged capital of mughal emperor Akbar, built in 1569 and deserted when its water supply failed. 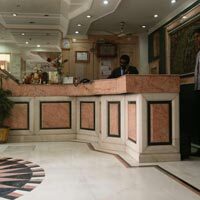 On your arrival to the charming Pink City of India check in at your hotel. Halfday sightseeing tour of:- Amber Fort: 11 Kms. from Jaipur - a marvelous example of Rajput architecture with its terraces and ramparts reflected in the Mata Lake below. The ascent to the Fort is on gaily caparisoned elephants. The Fort interior has various royal halls decorated with intricate ivory work, exquisite wall paintings and tiny mirror chips, which create a tantalizing reflection effect. After breakfast halfday sightseeing tour of:- Jaipur City:- City Palace Museum - an imposing blend of traditional Rajasthani and Mughal Art. The museum is resplendent with its collection of robes of royal princes, carpets, and armory of old weapons, miniature paintings portraying court scenes, battle scenes and processions, Jantar - Mantar (Observatory)- an accurate observatory built in 1726 AD; Hawa Mahal (Palace of Winds)- a five storied wonder with a spectacular pyramidal facade and overhanging windows with latticed screens, domes and spires. Later drive to the capital city Delhi. On arrival you will be transferred to the airport/railway station to board the flight/Train back to home. Price mentioned is per person on twin sharing basis. 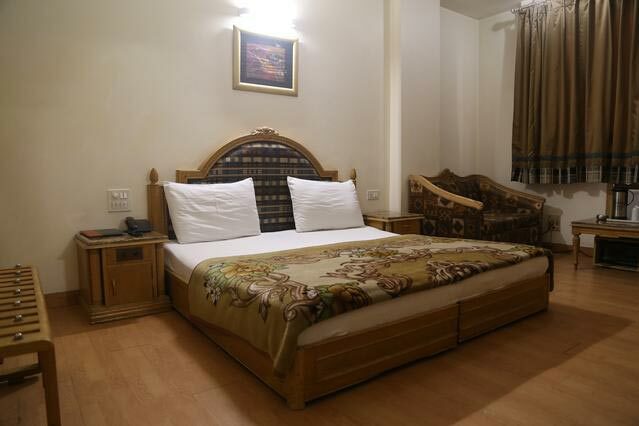 Bookings are applicable for 02 persons staying together sharing the same room. Service Tax extra (as applicable). A Surcharge may be levied by the hotel during National Holidays/Festive period/Extended Weekends, New year etc.